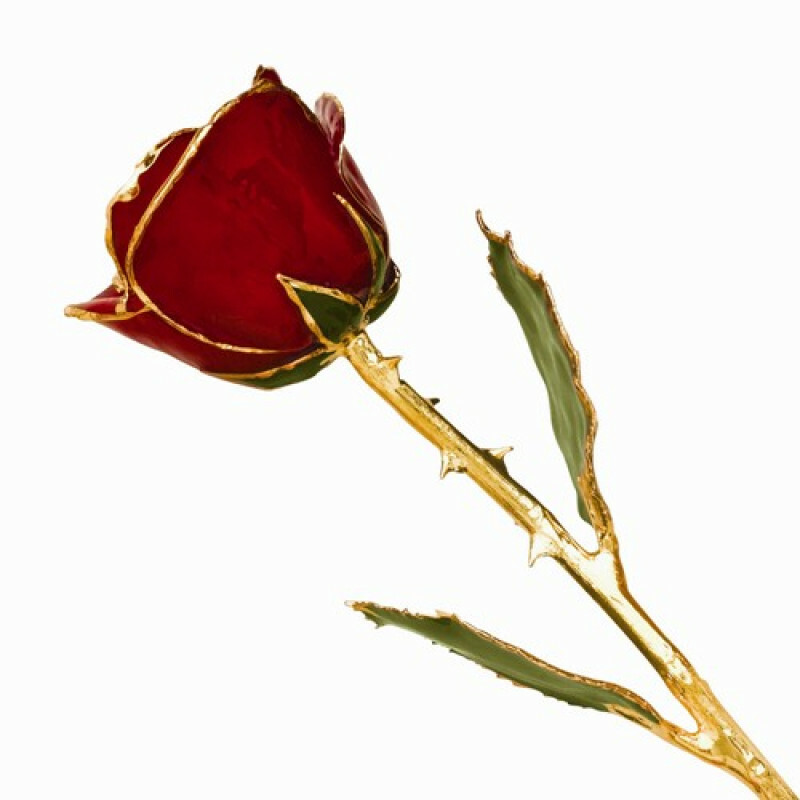 This is a real, red rose hand dipped in 24k gold, plated with a lacquer finish. The total length is 11 inches long. Give your loved one a memento that will remind you care and that will last forever! A hand dipped 24k gold plated red rose!